I don’t normally post renders of “might be built” buildings, but this one caught my eye. For one, it is in Toronto, near a district I used to walk through all the time. For two, there’s something compelling to me about the design. The old building on-site, listed on the city’s historic register, originally housed (I think) a library. The lower level, which admittedly has likely been renovated into blandville over the years, is nothing to write home about, but the second story has these pronounced decorative pilasters, windows, and a gaggle of other accoutrements. What makes the new building nifty to me is how it uses those elements in its design. It’s not a copy, not by a long shot (nor should it be), but that same language of those windows is carried forth along on the second story. 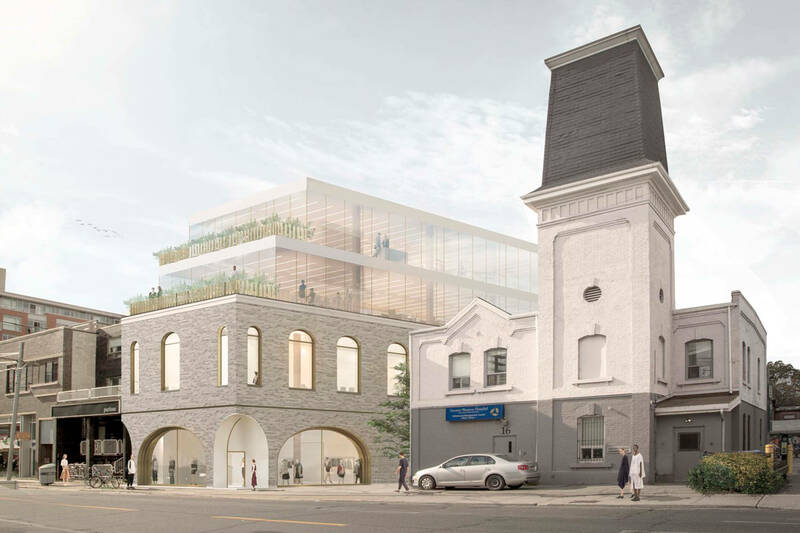 I especially like how then it is reinvented on the first floor, with large arched storefront windows and, even more wickedly, with the two half-arches that meet at each corner. These corner arches open and ultimately dissolve the corners at the first floor, giving the building a very interesting profile and creating naturally inviting entry points. The building then continues by being a great example of how to design with an eye to context. The brick lends texture and a call back to the history of the buildings that surround it. The reveal between the first and second story, as well as the cornice at the second story, tie into the horizontal lines of the store next door. The cornice itself recalls the original building while also speaking to the adjacent old fire hall. 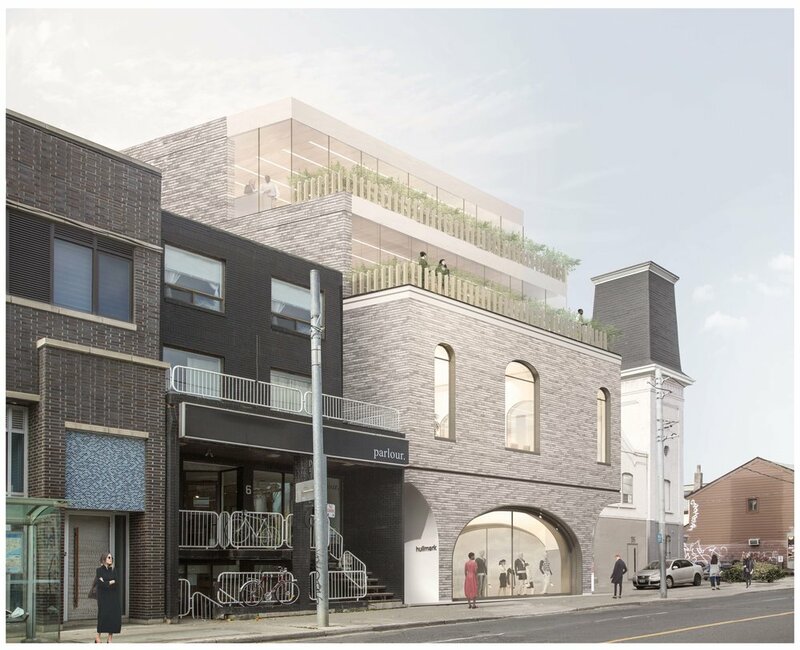 And the two new levels, delicate glass boxes, step back from the street, creating not only green garden/patio spaces but also reducing the building’s bulk. I’m sold. A great example of how our everyday buildings in the middle of a city done by completely commercial interests can still be, and should be, nicely designed. 12 Ossington by Hariri Pontarini Architects. You are currently browsing the Lynx Thoughts blog archives for the day Monday, October 8th, 2018.